ZILLOW ZESTIMATE is NOT accounting for $65, 000+ in recent upgrades within the past 3 months for IMPACT GLASS & DOORS, BRAND NEW FLAT TILE ROOF and cosmetic upgrades. CORNER LOT! Screened salt water pool, BRAND NEW FLAT TILE ROOF (tiles are ordered and will be installed prior to closing), BRAND NEW IMPACT GLASS AND SLIDERS THROUGHOUT (low e-glass, energy efficient), luxury gourmet kitchen with Jennair Appliances, Cambria quartz counter tops, custom copper farm sink. Tile throughout first floor, premium laminate wood flooring on stairs and second floor with tile in all bathrooms. Low maintenance astro-turf in heavily shaded back yard. 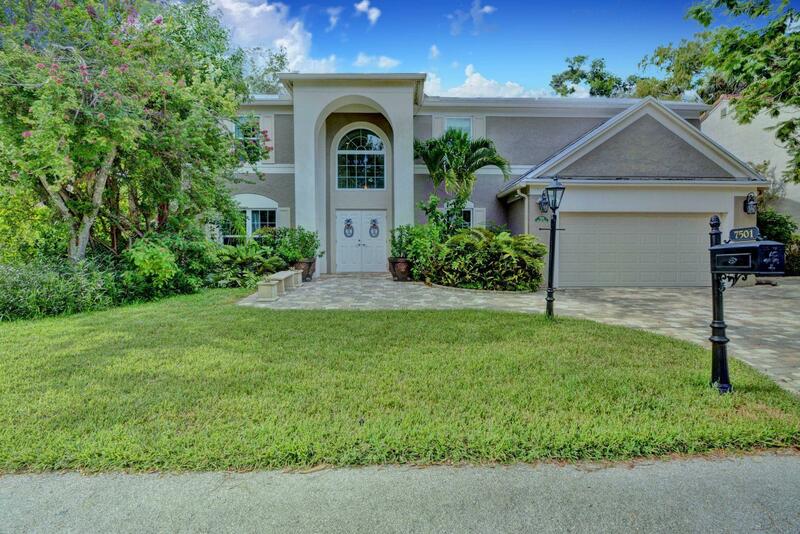 Gorgeous corner lot, majestic entry way with paver tile drive and walkway. Custom lights inside and out, professionally decorated - furnishings negotiable.